Customer service involves much more than answering questions over the phone. Responding to tickets through email, live chat, and social media are equally important communication channels for customers. While there's plenty of overlap in the customer service skills required to do a great job, each channel benefits from a unique approach to these skills. For example, there are important customer service skills that are associated with phone support, such as empathy, the ability to “read” a customer’s emotional state, clear communication, and friendliness. But things emotional cues are much harder to read in writing, so additional skills for newer channels need to be developed and improved upon (in order to make those channels more viable for customers). Whether you’re interviewing or brushing up your customer service skills for your resume, it’s good to remember that most customer support managers aren't just interviewing for technical skills. They'll be looking for how you demonstrate your customer service skills. Smiles translate through the phone, but should be used at appropriate times. You don't want your customer service to come off as inauthentic, but you should still always be cordial during conversations. Smile as you would in a face-to-face conversation while responding to questions and conveying necessary information. Part of the job in customer service is mirroring a customer's language and tone. Mirroring another person’s language and tone can help create connection. That said, if a customer is angry, you don’t want to copy their frustration. Instead, you can try increasing your volume just a little and then quickly work to bring the intensity down a notch. Customers respond well when the help they're receiving is coming from someone who's clearly level-headed. When customers are upset or frustrated, they might not be able to take in what you say—even if it’s the right answer. Listen first, let them calm down, and then try to help solve their problems. Empathy is a crucial ability in customer service, so make sure you know exactly what you're showing empathy towards. 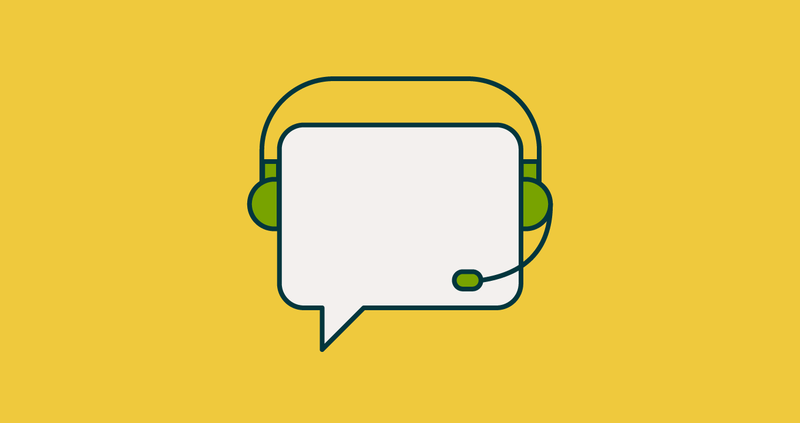 Customers need to feel heard, so tell them that you understand the reason for their call. They'll appreciate the touch of empathy and it'll go a long way towards making an angry customer's experience much better. Customer service that accurately recognizes what ails the customer comes off as more human and reflects well on the company. You’ve got to listen to a customer's problems in order to repeat information to them with supportive language, and do so in way that summarizes the help that you’re providing them. Being able to adequately communicate all that you’re doing to help is a top job skill for customer service agents. Even if you’ve just handled a call really well, you can lose a customer by leaving them on hold for too long. This is especially true if you haven’t set their expectations first—it will make them feel like their questions don't matter, and ultimately reflects poorly on your customer service and your company's reputation. For efficient customer service, you’ll want to use templates that include some pre-written text. At Zendesk, we call them macros. Templates are like guidelines—they shouldn't be overly rigid and unwavering, but can provide a helpful structure for common responses (like a list for step-by-step responses). Even though the whole team can use it, you’ll want to personalize your own answer before replying to customers. This leads to a more personal interaction (and a more fulfilling customer service job). It’s okay to use your own voice and approach, even as you reflect your company’s persona and philosophies. Think about how you might make your own signature unique or consider different ways to close the email depending on the tone and resolution of the interaction. Emails, especially a first response, need to be answered within a defined timeframe. A great email support agent will prioritize their responses by urgency and how long they’ve been sitting for. There's a chance your customer was spoiled during the sales process and expects similar treatment in customer service—having a great customer service platform will help make that responsibility easier. Similar to phone support, it’s great to mirror a customer’s language or phrasing in an email to show them that you understand and acknowledge their issue. This helps to create rapport and establishes a better relationship, making it easier for them to receive the information they need. Tone can be hard to decipher over chat, especially since the responses can be short, quick, and incomplete. It's an essential customer service skill to choose your words carefully. A good rule of thumb is to use a gentle, informative tone—patience is a critical ability when faced with a very frustrated customer. Live chat agents are expected to handle more than one chat at a time, which is a skill in itself. Great multitaskers don’t lose sight of the bigger picture as they're bombarded by questions. Be careful not to handle too many chats, or else your customers will be waiting too long between responses. You can always put a chat “on hold” if you need more time to find an answer, but just like with phone support, set their expectations first! Sometimes it’s harder for customers to express themselves by writing, so don’t read too quickly and jump to conclusions. It takes a lot of training to understand the nuances of different customers, but it's part of what makes someone successful at a job in customer service. For example, someone that works in sales might come off as assertive while you're providing them support, while an engineer might need complex technical details to see their problem solved. Being able to read specific cues is a problem-solving skill that can give agents a better idea of how they can help. Always respond to a customer’s social post—especially when they need help. Even if you can’t answer right away, make quick initial contact with them and let them know where and when you’ll respond. Providing speedy responses means you’ve got to be adept in addressing a customer's problem in a precise and polite tone. The exception to “always respond” is when you are confronted with an obvious attempt to create an altercation in a public space. These comments are often directed at the company itself, and sometimes other people will quickly take the bait. Most organizations know they can’t afford to have a customer service agent who makes mistakes on social media. The damage to the company's reputation can be far-reaching. Social media contacts occasionally walk a line between something that should be handled by support and something that should be handled by marketing. It's an important skill that an agent will know what should be a ticket and what should be forwarded to another team. The best customer service employee will be able to move easily between channels and solve problems with the skills that best suits each channel. If you can hone your ability to practice empathy and communicate your product knowledge with customers, you’ll be a rock star in customer service. 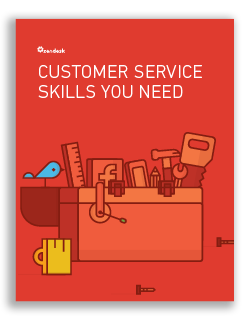 What follows are our tips and solutions for improving your skills by specific channels, excerpted from the eBook Customer Service Skills You Need. Phone support: How’s your “phone voice”? Some say we wear our emotions on our sleeve, but others might say we convey our emotions through our voice. Customer service employees know from experience how frustration and anger translates through the phone lines. And, of course, that communication is a two-way street; phone agents reading from a script must consider their tone. Honing your writing skills is especially important when providing email support. 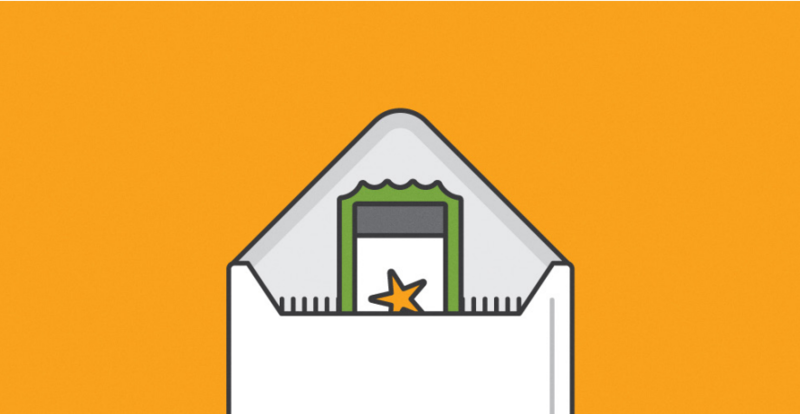 The email response is arguably the most structured response and requires the most precision. You must write with clarity and brevity while detailing a list of issues while also taking the time to proofread and correct any mistakes. 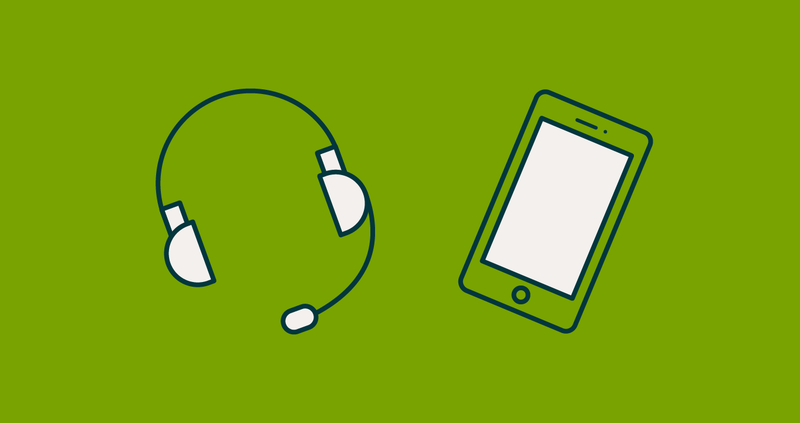 Providing great live chat support requires a cross of phone and email skills. Chat is conversational and real-time, just like customer service over the phone, but it also requires strong writing skills. Social media support requires a combination of all of the above skills. When live chat isn’t available, customers turn to social media for an exceptionally fast response. 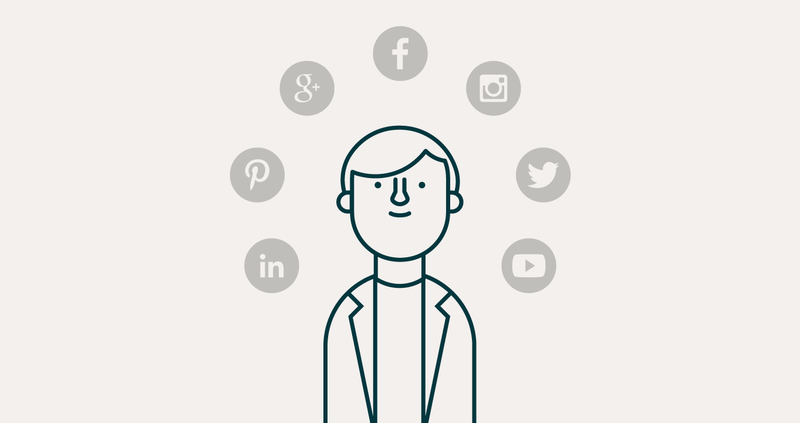 The skillset required to provide customer service on social media is generally a bit advanced, and often saved for more senior or specialized customer service agents. For the complete list of tips as a condensed version of this article, download the ebook. Share it with your team, or print and hang the skills list in your office.